Remove trial and error from human-centric product design. There’s no reason to guess any longer. The trial-and-error approach to human-centric design exists because there has never been a way to consider the end-user experience prior to the existence of a product. Until now. SantosHuman provides the only predictive digital human model that can evaluate human physical behavior and performance at the earliest stages of design, when change is not only most effective, but still a viable option. Anticipate design issues via a flexible digital human model. It’s that simple. 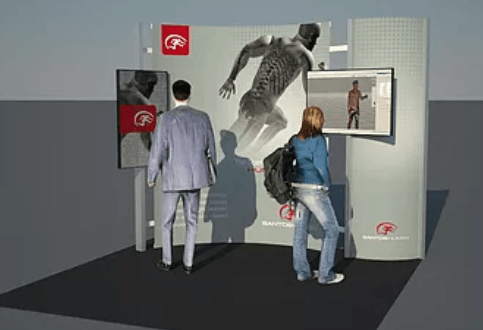 Santos® is a virtual human model. Its capabilities are available as software products and services that leverage the only way to predict human performance while engaged in various processes, thus helping manufacturers design more effective products and systems. 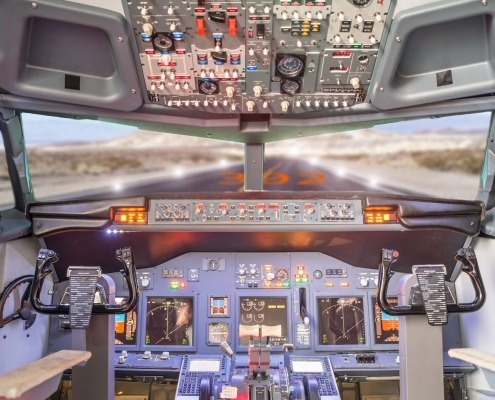 Realistic and responsive, Santos can answer questions and solve problems in a virtual environment where changes can be tested quickly and cost effectively. The Santos® predictive human models are the only optimization-based and physics-based human models capable of predicting human performance without prerecorded data, while at the same time considering strength, fatigue, range of motion, external forces and grasp requirements, as well as obstacle, self and vision occlusion avoidance. In addition, the Santos predictive models are the only ones based on the physics of human performance. They are based on underlying mathematical models rather than approximations of prerecorded data. They respond to physics-based cause and effect. In other words, when conditions change, our models update automatically and provide the ability for a virtual human character to react both visually and quantitatively. “Santos provides an excellent platform for performing proactive ergonomics assessments. 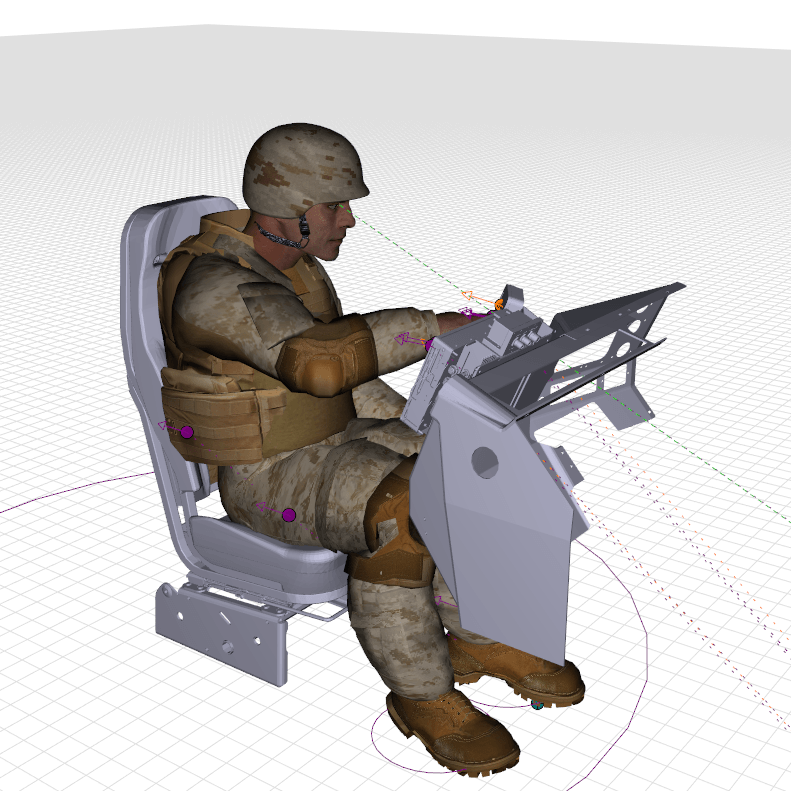 We can now perform any risk assessment before workstation or parts even exist in the physical world, and Santos allows for realistic work simulation for a variety of human sizes and strengths, so that the optimal ergonomic design can be determine quickly, and at much less cost. “Santos will provide University of Ontario Institute of Technology students with a competitive advantage, as they will develop a comprehensive theoretical backing and the practical technological skills necessary to stand out to future employers. I want students to understand the power of digital human modeling and how these approaches can be applied to areas such as ergonomics and human factors. We can influence important design decisions that optimize worker performance and reduce the risk for musculoskeletal injuries. “I am delighted to partner with SantosHuman Inc. The integration of Santos technologies in our lab spaces will greatly enhance education and research opportunities for our students at Nipissing University. 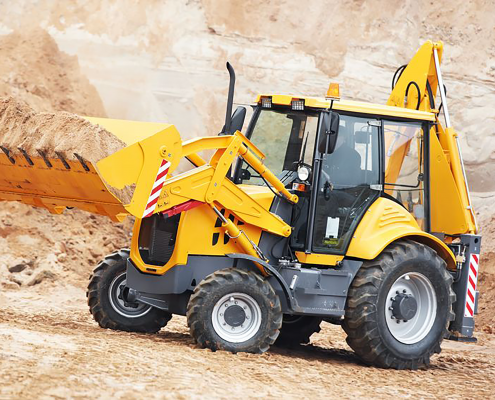 This proactive approach is a fundamental shift in how we do ergonomics, allowing us to optimize worker efficiency and minimize injury risk before a job actually exists. “SantosHuman has emerged as a world leader in digital human modeling, and the power of this technology is an innovative step forward for the Ergonomics profession. The software allows us to evaluate, in detail, the physical demands of a user while interacting with various workplace and tool designs. This approach can lead to improved worker safety. I loved the software. Posture prediction is amazing. I will push my boss to migrate to Santos. 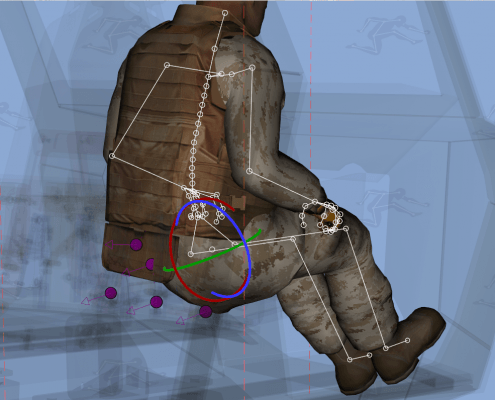 In 2019, SantosHuman Inc. will engage in research with the University of Ottawa and the University of Waterloo to develop and validate a tool to predict and optimize performance and minimize injury risk to Canadian Armed Forces (CAF) soldiers based on personal, operational, equipment and environmental factors. SantosHuman Inc. is excited to announce that we will have a booth in the exhibitors’ hall at the Conference for the Association of Canadian Ergonomists on October 16-17 in Sudbury, Ontario. Stop by and let’s discuss how our predictive human-in-the-loop solutions can assist you in your efforts to make the world a safer place to work.